The Time of the End: Millenarian Beliefs in Ulster. 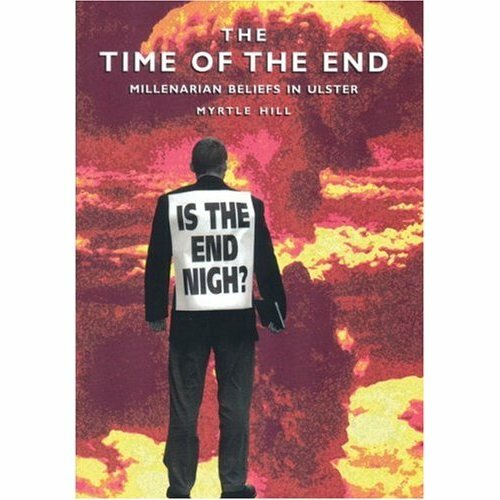 Time of the End, The: Millenarian Beliefs in Ulster looks at the particular way in which Ulster society has been affected by millennial ideas. Though not exclusive to Protestantism, it was this branch of the Christian faith that first tied the end of the century to apocalyptic warnings and prophecies of the Second Coming. Myrtle Hill takes us through what is sometimes dismissed as a 'lunatic fringe' to reveal instead vibrant 18th and 19th century world views. Myrtle Hill is Director of the Centre for Women's Studies at Queen's University Belfast. She has published widely on Irish social and religious history. Recent works include Myrtle Hill and Vivienne Pollock, Women of Ireland, Image and Experience (Belfast, 1999); Raymond Gillespie and Myrtle Hill (eds), 1798: Rebellion in County Down (Belfast, 1999); David Hempton and Myrtle Hill, Evangelical Protestantism in Ulster (London, 1992).